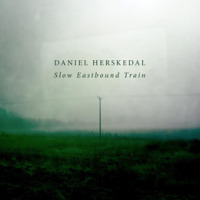 Saxophone and tuba duos have something in common with hens' teeth, so tubaist Daniel Herskedal and saxophonist Marius Neset's collaboration is already noteworthy for its pioneering spirit alone. Herskedal and Nesetformer students of Copenhagen's Rhythmic Conservatory and band mates in pianist Django Bates StoRMChaserhave, however, crafted music so sublime that it's a wonder tubiasts and saxophonists aren't a dime-a-dozen. Drawing from the Norwegian folk tradition and classically influenced European church music, the result is a recording that has the haunting quality of sacred music while also carrying a vein of pastoral roots music. The judicious use of vocals in the form of tenor Hallvar Djupvik, and the 20-piece all-male Svanholm Singers choir adds to the music's ethereal and often devotional nature. Tuba plies a baroque-like bass line on the title track, while Neset's initially hymnal melody, buoyed by choir, dissolves into freer though consistently melodic terrain, a second, layered saxophone voice sounding remarkably like a church organ. 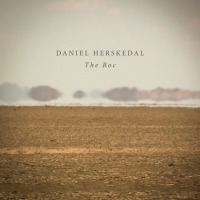 A solemn but lyrical choral passage frames Herskedal's purring solo in uplifting fashion before the duo returns to the head. It's a marvelous opener and sets the tone for what's to follow. The short, harmonically weighted "Preludium's centerpiece is its striking melody, though Neset's soprano solo is also noteworthy. The Balkan-inspired "Lutra Lutra" is something of an anomaly, with tuba pumping out a series of churning ostinato while Neset's tenor dances merrily. Djupvik's almost Gregorian vocal on the Norwegian folksong "Eg Er Frammand" is underpinned by slightly otherworldly whispering, and ghostly, distant cries of tuba and saxophone. 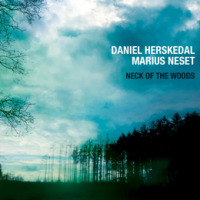 Neset's sturdy tenor counters but cannot overcome the haunting undercurrents at play on this highly evocative number. The purity of the duo's voices on the miniature "The Shepherd" provides a sense of calm and repose that segues into the folkloric "Aria's Dance," whose simple melody provides the blueprint for Neset and Herskedal's explorations. Tuba and tenor weave separate bobbing lines, converging in a brief and alluring harmony in the middle and, again, at the song's conclusion. Neset's gorgeous soprano melody on "The Christmas Song"supported by the Svanholm singers combined with the absence of any rhythmic pulseconjures scenes of deep, snowy stillness. Neset's free-spirited solo is celebratory, yet in the curiously brooding and drawn out ending lie other seeds. Darker hues inhabit the atmospheric "Dragon's Eye," a solo Herskedal piece where several layers of tuba provide a restless pulse and sense of breathless flightor dogged pursuit. "Swan Island" grows from a solo tenor introduction that's both grand and intimate; solemnity weighs on the baroque lines, but choir and tuba in the highest register bring lightness to the arrangement, which swells finally into hymnal valediction. A heartfelt interpretation of South African pianist Abdullah Ibrahim's "The Wedding" carries the mixture of reverence, devotion and dignified celebration that marked the original, rounding off this totally absorbing duo experiment. Herskedal and Neset give the impression that they could extend this collaboration in any direction they wishand hopefully it won't be long before they do. Track Listing: Neck of the Woods; Preludium; Lutra Lutra; Eg Er Framand; The Shepherd; Ara's Dance; The Christmas Song; Dragon's Eye; Introduction to Swan Island; Swan Island; The Wedding. 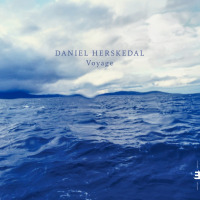 Personnel: Daniel Herskedal: tuba; Marius Neset: saxophones; Svanholm Singers: vocals (1, 7, 10); Hallvar Djupvik: solo vocal (4).